Ammon Bundy plans to argue to a federal judge that the United States does not own the Malheur National Wildlife Refuge and cannot legally prosecute him and dozens of others who have been charged with occupying it. The argument, if Judge Anna Brown lets it play out, would add a new twist to what's already expected to be a lengthy and complex case before the U.S. District Court for the District of Oregon. For more than three weeks in January, Bundy led the takeover of the 188,000-acre bird refuge in southeast Oregon, carrying a pocket-sized U.S. Constitution that he claimed bars the federal government from owning the lands he walked upon. 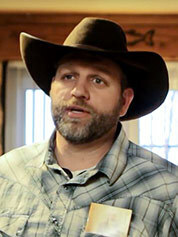 Ammon Bundy. Photo by Blaine Cooper, courtesy of Wikipedia. Now, he wants to bring those claims to the district court. He plans to call witnesses and present homesteads, deeds and historical documents dating back to the Federal Convention of 1787. "The motion to dismiss in this case will challenge the federal government's authority to assert ownership over the land that is now known as the Malheur National Wildlife Refuge," Bundy's attorney, Lissa Casey, said in a declaration to the court last Friday. "Jurisdiction in this case will determine whether the federal government can prosecute protesters for being there at all." If past Supreme Court cases over federal land control are any indication, Bundy's argument is almost sure to fail. Casey said the Constitution intended a "very limited federal government" whose duties were to oversee national defense, trade and disputes between states -- but not to own vast Western landscapes. Once Oregon became a state in 1859, the U.S. Congress lost the right to own lands within its border except for narrow purposes outlined in the Enclave Clause of the Constitution, like forts and arsenals, she wrote. The federal government relinquished Malheur when it was deeded and homesteaded and reacquired lands from original deed holders to create the refuge. The government needed consent from Congress and permission from the Oregon Legislature in order to acquire those lands, so "evidence must be produced regarding chain of title and actions/inactions by the government," Casey said. Bundy's defense team also plans to provide "foundational documents" from the Federal Convention of 1787 that were "reportedly not discovered until much of the case law surrounding the Enclave and Property Clause was created." "Given the complexities of the evidence involved, it is not a simple legal argument that can be briefed and expedited for the court," Casey wrote. "Evidence must be taken, and witnesses will likely need to be called." Conservationists who opposed the transfer or privatization of federal lands say Bundy's case has no merit. "We look forward to Ammon Bundy's attempt to re-litigate 200 years of jurisprudence regarding the property clause, and the 1935 Supreme Court case that specifically established the American people's ownership of the Malheur National Wildlife Refuge," said Jennifer Rokala, executive director of the Center for Western Priorities in Denver. She was referring to a 1935 opinion in which former Supreme Court Justice Harlan Stone wrote that before Oregon became a state, the United States acquired the title to Malheur, "which it has never in terms conveyed away." At issue in that case was whether the marshy waters that make up much of the refuge were ever "navigable" by boats, which would have made them the property of the state. The Malheur lakes were too shallow, their shores too shifting, to meet that threshold, the court said. Other cases, namely a 1976 Supreme Court ruling involving the management of wild burros, have affirmed the federal government's right to own and manage its lands. In 1976, the court affirmed that the Property Clause of the Constitution gives Congress power over federal lands "without limitations." Where U.S. laws on federal lands conflict with state laws, the U.S. laws prevail, the court said. Citing precedent, the federal government has "complete power" over "public lands" that "includes the power to regulate and protect wildlife living there," wrote former Justice Thurgood Marshall. The Property Clause, according to a 2007 report by the nonpartisan Congressional Research Service, "provides broad authority for Congress to govern the lands acquired by the federal government as it sees fit, and to exercise exclusive authority to decide on whether or not to dispose of those lands." Kenneth Medenbach, one of the 27 defendants in the Malheur occupation case, made a similar argument in a separate case before the district court that the United States lacks jurisdiction over federal lands, but Judge Michael McShane on April 7 said his argument "has no merit," The Oregonian reported. A jury this month found Medenbach guilty of unlawfully occupying federal lands in Josephine County, Ore., in May 2015, the paper reported. Land ownership questions aside, Bundy, Medenbach and about two dozen others face six felony charges in connection with the 40-day Malheur occupation that ended in early February. They include conspiracy to impede federal employees through threats, intimidation or force; possession of a firearm in a federal facility; carrying a firearm in relation to a crime of violence; theft of government property; and depredation of government property.